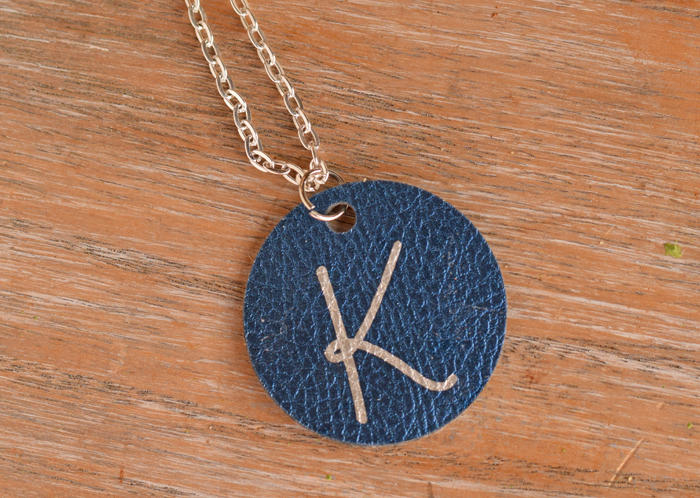 This Circle Initial Pendant is a perfect gift idea for birthdays, Christmas, and more! 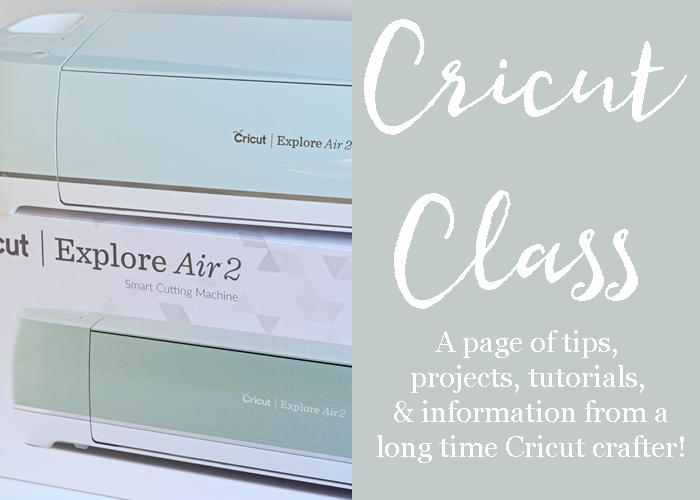 This post may contain affiliate links which, when purchased through, add no extra cost to the consumer but help support this site and bring more Cricut related tutorial. 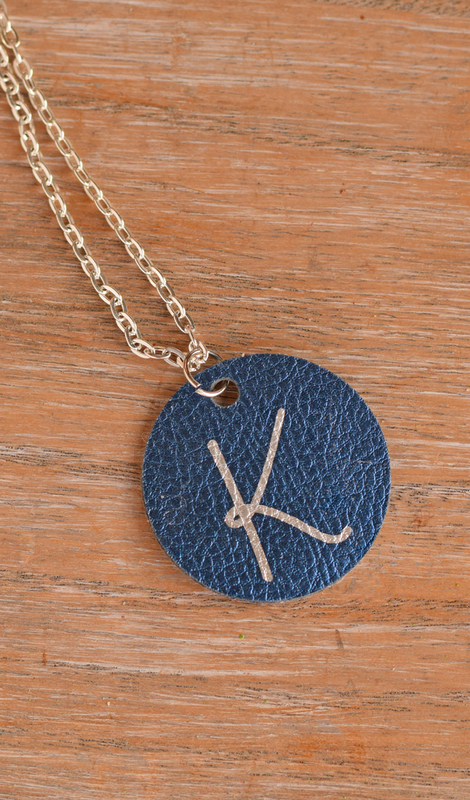 A few months ago, I shared this awesome Faux Leather Initial Pendant that I created with my Cricut Explore Air 2 machine. The process worked so well with such a great result that I made lots of them for Christmas gifts. Of course, I couldn’t share them before Christmas, but now I can! Finding the perfect gift for someone can be hard sometimes. For me, I always want to give a personalized gift that I know that the recipient will like. But personalized gifts, especially those from custom websites, can be pricey. If you have a Cricut machine, personalized gifts can be made for a fraction of the price. Never worked with faux leather? Check out How To Use Cricut Faux Leather! Cricut offers a variety of faux leather. Pair a different faux leather sheet with various Cricut pens, and there are lots of color and style combinations. Since many of the supplies for this project come in bulk packages (for instance, the jump rings and, oftentimes, the chains), these necklaces make great gifts to make in groups for teacher gifts, Sunday School teacher gifts, and family gifts. Mother’s Day is going to be here before we all know it, and these would make cute gifts for that holiday, too. 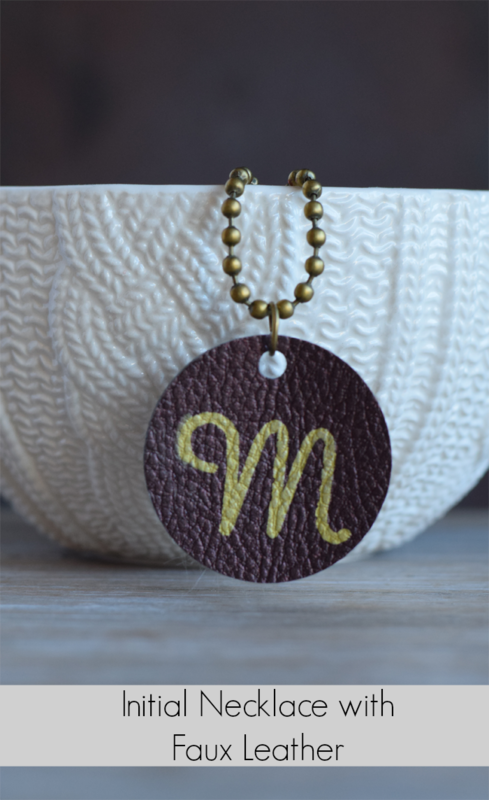 Get the supply list and full tutorial for this necklace on the Faux Leather Initial Jewelry Pendant with Cricut post. Hi, Do you think the faux leather and suede would work for earrings as well? I’m wondering if the material is too thin and will curl up or lose it’s shape. I’m new to the Cricut world but in love so far ! Thanks for your help! How can I cut a circle so it looks professionally done? Hi, I used my Cricut machine for this project. It cuts perfect circles that look professional. Are you using a Cricut?